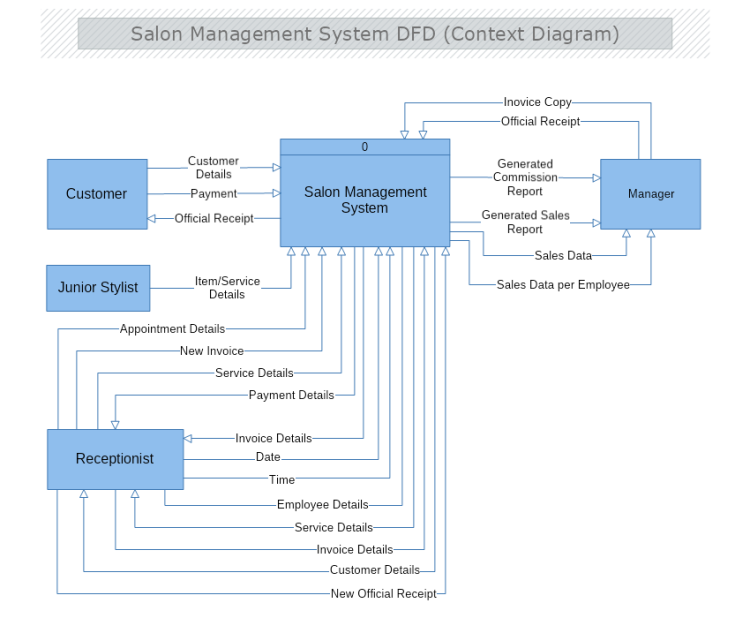 This is a Context Level Data Flow Diagram of a Salon Management System. The example illustrates the kind of data that flows between the system of interest and its external entities. This example is suitable for any kind of Managements system software which aims to keep the work process of a place well organized and provide online access to its end user.